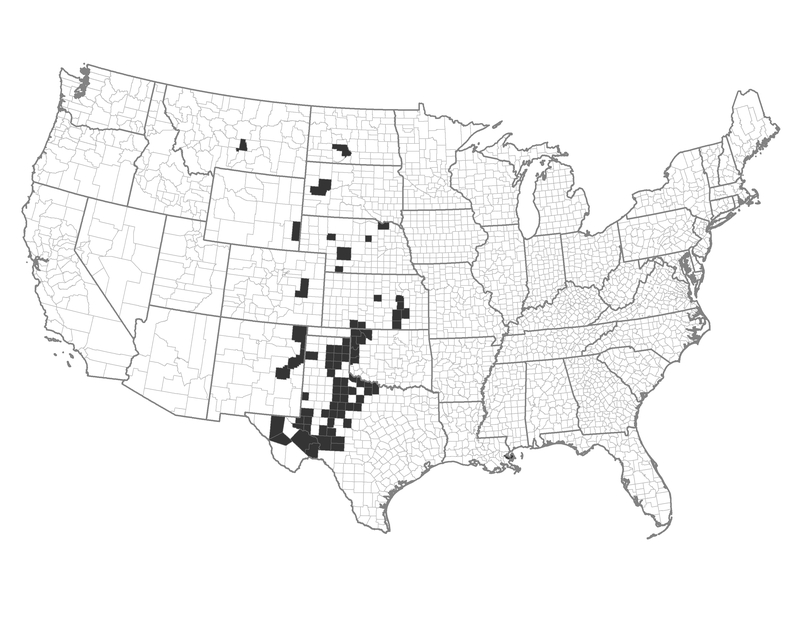 These are rangeland systems within the Southern Plains that experience a large area burned. There is little federal ownership. There is good potential for wildland fire use with the application of buffers for community protection. Prescribed fire is already being used in many of these counties and could be considered for greater use. Example of a Typical County — Chase County, Kansas: This Flint Hills county has a high area burned that includes controlled burns on private-lands and wildfire. There is moderate risk of large wildfires, less potential for resource benefits. The application of mechanical fuel treatments, such as grazing or mowing, could reduce fire hazards on a seasonal basis. Expand or maintain prescribed fire programs in areas of current use. Community protection will be a primary focus for these counties. Communities can plan and take coordinated action. Individual homeowners can be proactive on home defensive actions. These counties could also adjust building and construction codes in all non-municipal areas. Reduce human-caused incendiary ignitions by focusing on enforcement programs. Response organizations continue to protect structures, treat fuels and target ignitions as local conditions apply.